Hi loves! Today I am joining forces with my friend Emily from Very Emily ^^. 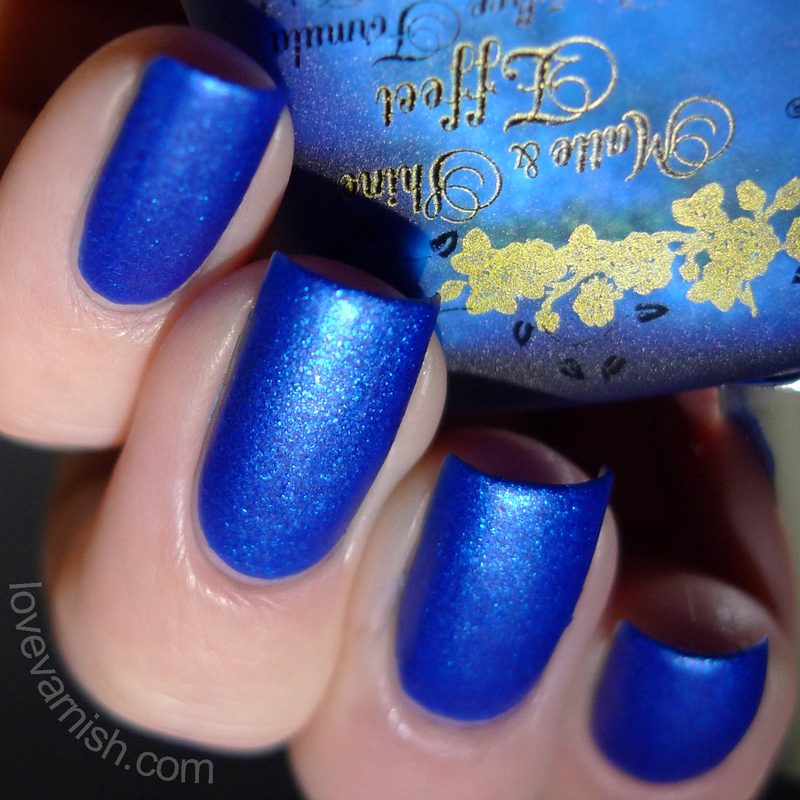 We are both posting swatches of 2 El Corazon Matte & Shine shades! She has 2 more cute shades, I went for bold and jewel toned. As the name predicts these are matte shades, but with an intense silver shimmer that makes them almost glow from within. I'll be posting them shiny as well! 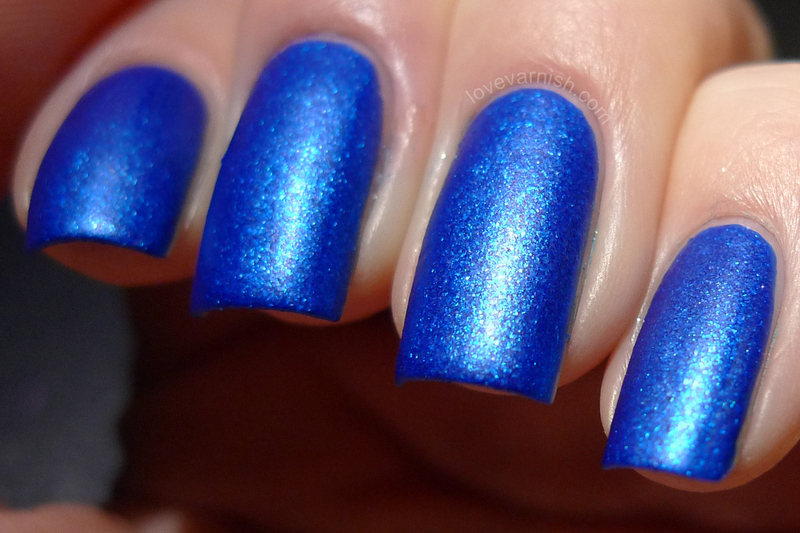 El Corazon Matte & Shine 161 is a cobalt blue with a gorgeous silver shimmer that's almost flakie like. Because of the bold blue basecolor, it almost seems to glow bright blue from within. It has so much depth even while matte! But then you apply topcoat.. WOWZA. It's a thing of beauty. 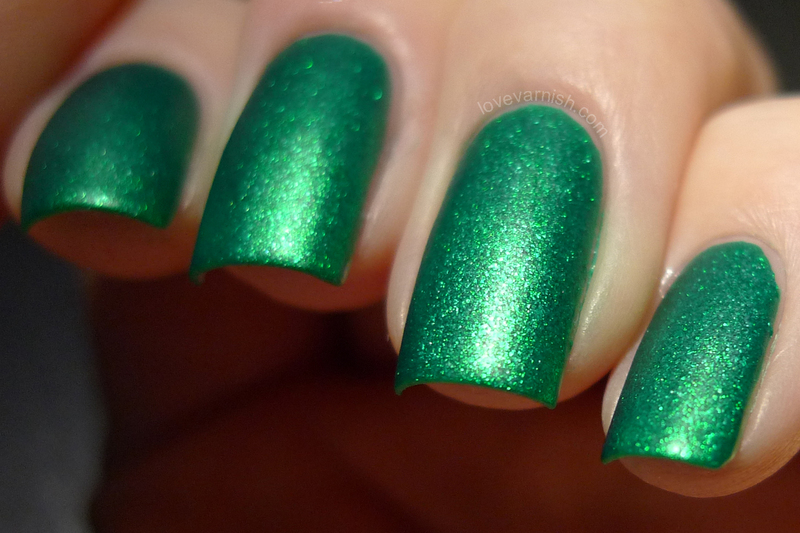 El Corazon Matte & Shine 163 is a bright green shade with again a gorgeous silver shimmer appearing almost flakie like. Depending on your lighting this shade can go from grass green to a more darker hue that's almost emerald. Again, gorgeous when shiny as well! Both shades applied heavenly - 2 coat formulas that glide effortlessly across the nail. Also they dry down nice and smooth - mattes are notorious for being tricky to apply but that's not the case here. Cleanup is a whole different story. Best advice? Just don't mess up when using these ;-)! I also suspect them to be prone to staining since they are so pigmented. I really enjoyed both of these and will be using them again in the future. They might make a great base for nailart, too! Like I said, Emily from Very Emily is posting swatches of 2 shades as well, so make sure you check them out! Do you like matte polishes? And which of these is your favorite? I have the green and you've reminded me I need to try it still. 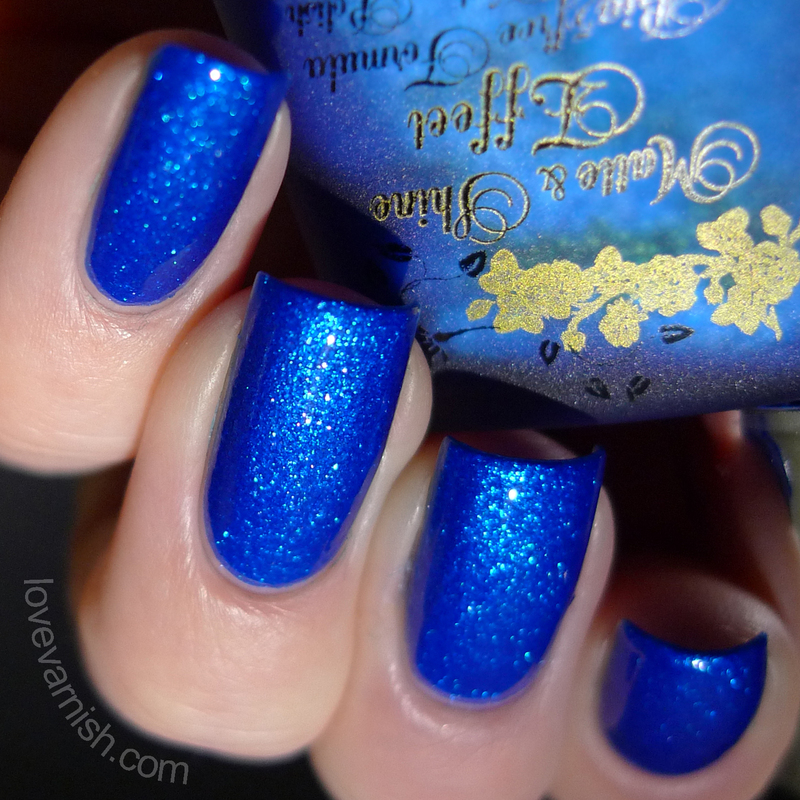 Beautiful swatches, and i don't know how new the new blog design is but it's looking good! Wow, they are sparkly! I don't think I own any mattes like them! I am really loving all four of these shades! I think I prefer them matte, because they look so textured and unique! And you're right, that blue really glows so beautifully. Those polishes have total WOW factor. Gorgeous shimmer in those and what stunning photos! That green is amazing matte and shiny! I love these matte and shiny! Beautiful colors! Gorgeous. I think I prefer them shiny over the matte, but both variations are stunning either way. Wow, beautiful colours! 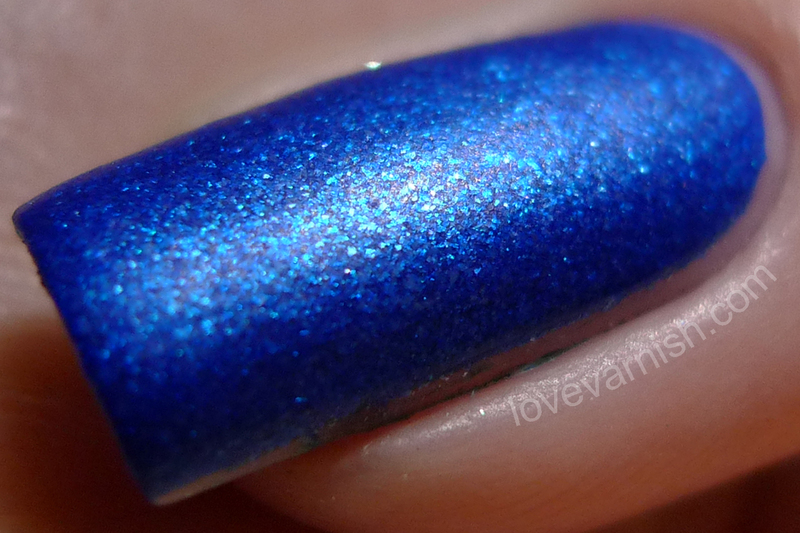 Especially that blue... And they're also really pretty when glossy! Wow, these are gorgeous!! I love that blue!! They look amazing! I'm lusting after the blue one!